Ever since I received my PIPO M9 Pro tablet, I’ve been experiencing WiFi issues. Every 5-10 minutes, the tablet would simply lose its WiFi connection. Usually it took a few minutes before it would reconnect. No need to say this was very frustrating when doing anything that involves the network connection. I’ve come across various forums (FreakTab, ArcTablet and Tablette-Chinoise) full of people complaining about the same issues. The problem seems to be caused by bad placement and bad insulation of the internal WiFi antenna. I’m not very experienced with soldering and I didn’t really like removing ground wires (they’re there for a reason, right? ), so I went for the last method. 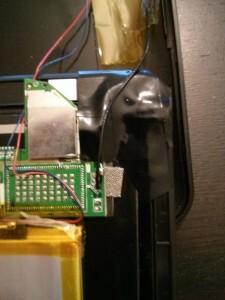 How I managed to fix my sh*tty wifi without desoldering the wires. Please read the instructions on the lower right part of the screen. Make sure the tablet is off. This method has helped a lot of people, hope it helps you as well 🙂 My Pipo was already fixed using this method so it’s not a “from scratch” video. 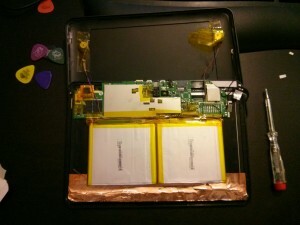 So I carefully opened my tablet using guitar plectra to put between the screen and the back case. The guy in the video does it with plastic cards, but I couldn’t find anything like that. 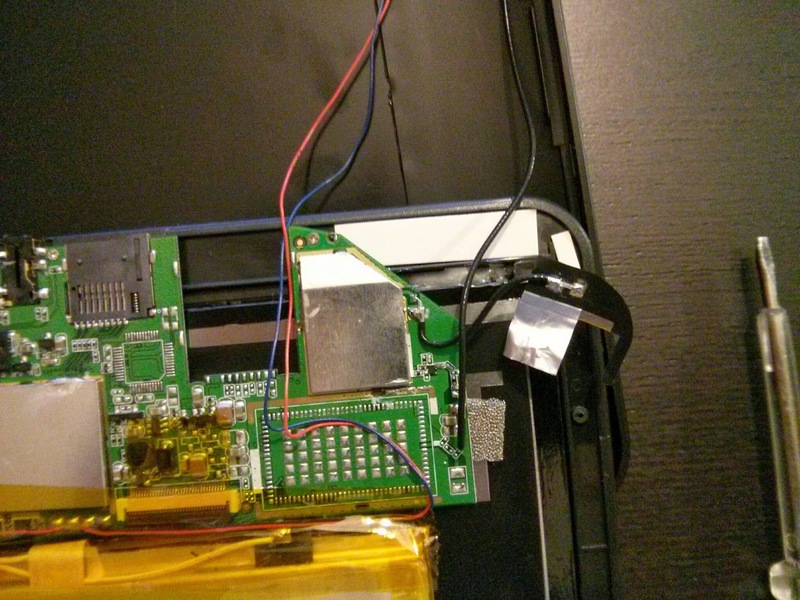 The WiFi antenna turns out to be the black plastic thing glued to the case at the top right. I carefully unglued it by using a screwdriver and I cutted some pieces of cardboard to put underneath the antenna. I then stabilized these pieces of cardboard with some insulation tape, glued the antenna on it and covered the antenna and its wire with a few more layers of insulating tape.